Ensure that you have your email details on hand. 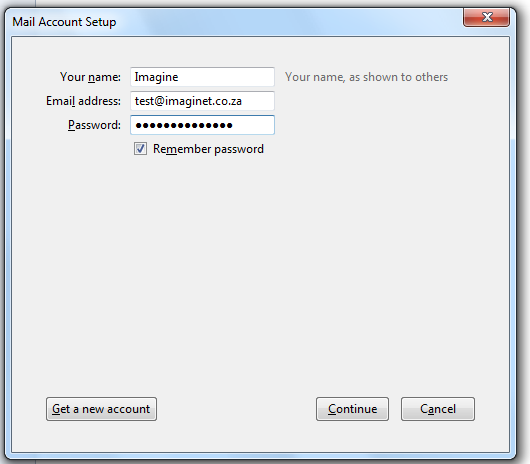 If you don't have your email details, you can check them on your control panel at my.imaginet.co.za, or email info@imaginet.co.za and request that a copy be sent to you. Open Thunderbird and click File. Select New and click Mail account. Enter your name, your full email address and your email password. Select Remember password and click Continue. 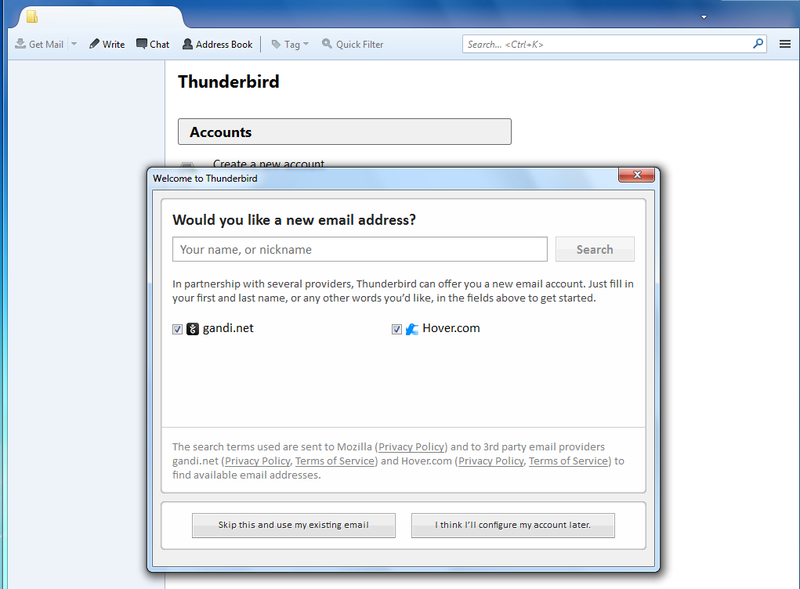 After Thunderbird has completed testing for automatic account settings, click Edit. Enter your full email address under User name. 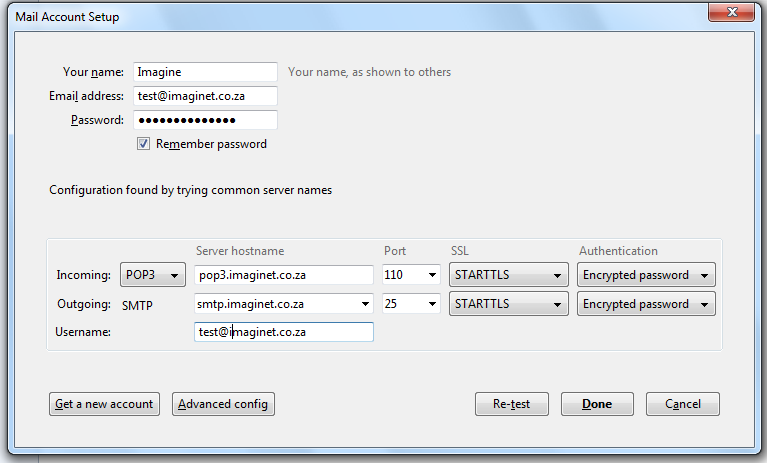 Enter pop3.imaginet.co.za as the incoming server. Select POP as incoming server type. Enter 110 as the incoming server port. Select None instead of SSL/TLS. Your outgoing server will depend on your service provider. You need to enter the outgoing server of the company that provides your Internet connection. If you don't know your provider's outgoing server, you can see our list here: List of outgoing servers. Check that the settings are correct. Incoming server authentication method should be set to Password transmitted insecurely. Ensure that the outgoing server settings are correct. Your email account has now been set up. If you experience any trouble, please give us a call on 086-111-1101 for assistance. How to create a new e-mail address.